Found a wonderful group of Canadian Thistle. Love their structure. Looks like a beautiful weekend is underway here - clear skies and warm temps. Thank you so much for all the wonderful comments on yesterday's Chicory! Hope everyone has a great weekend!! 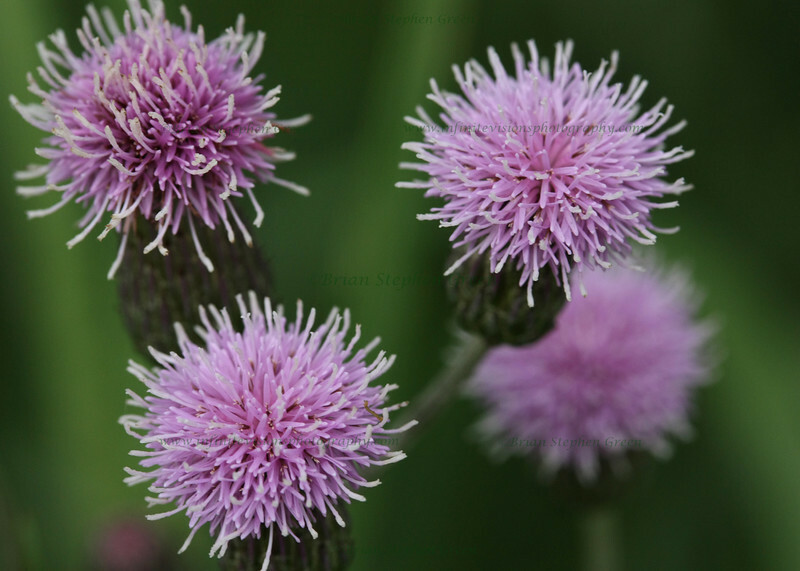 Wow, gorgeous shot of thistle! I love the depth of field you caught here -- so 3D! Excellent shot! Looks like they are floating in the air. This is super in all ways, Brian!